​Just about every case study conducted since the roll-out of the GMB 3 Pack show between 3 out of 10 to as high as 5 out of 10 searchers click on the local maps results of Google. This is a massive amount of traffic that is still being had by the businesses that are skilled enough to be in the top 3 positions for Google Local. 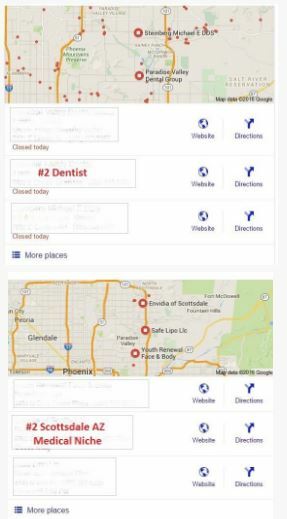 Case studies show that since google changed the maps section to the GMB 3 Pack that between 3-5 out of 10 searchers click on the local Google maps results. This means that a business is positioned in the GMB Maps 3-Pack is receiving a massive amount of traffic. ​Start with the 60 Day GMB Optimization Process to achieve GMB Map Results: We use a variety of means designed to increase a business's local online presence. No longer can you rely on citations alone, those days are gone. Instead, we create powerful signals that create trust and authority for your brand. Trusted authoritative brands rank higher both in the 3 pack and organically (below Google Maps). 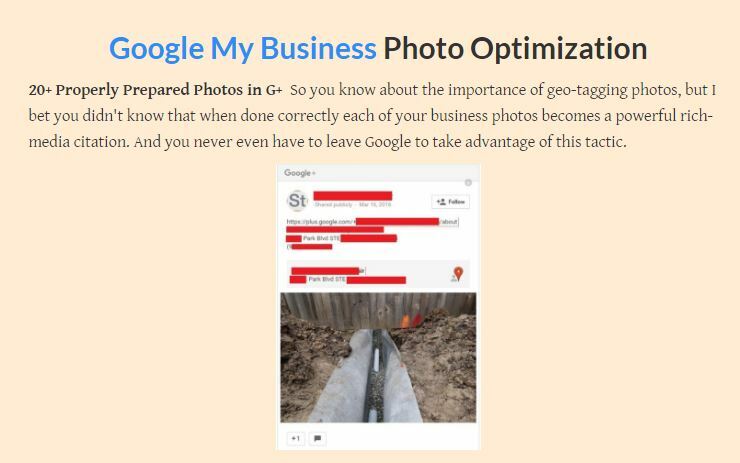 ​Our schematic approach delivers Google My Business (GMB) and Local Maps search results. Using proven methods our results are aimed at increasing a business's local search presence. Citations alone may not be making the difference in your GMB search results. To improve you GMB maps ranking we create trust and authority for your brand using powerful trust signals. A brand that is is both authoritative and trusted will rank higher in the 3 pack and gain organically. Our 60-Day Optimization campaign is a great solution for ranking in maps with a moderately competitive niche or location. For a high competitive local niche we recommend a 120-Day local SEO campaign. Ask for details. Purchase the 60 Day GMB optimization package for mid -level marked competition. Competitor Citation Creation - We create 120 (US, UK, Can, Aus) listings (40 all other countries) on as many of the same directories as your competitors as possible. This includes niche and local citations with logos, keywords, descriptions and exact NAP. Local SERP Tracking View Key - Max 20 Keywords​"
For competitive and difficult niches you may need superior SEO. Citation Boosting Included for All 120 Day Local SEO Campaigns"